Hello. I need your help with my Ae tokens migration. First of all, I’m sorry about my English, my level is not high. Well, in order to migrate I created a mainnet wallet account with a Ledger Nano S. I started the migration process choosing the MEW option. 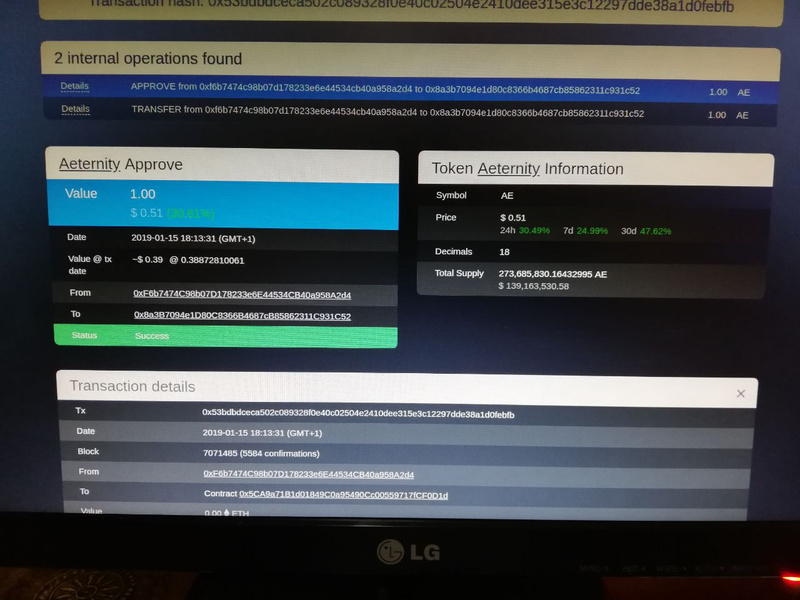 Ok, the system filled in everything and I chose to send 1 AE token. 2 days later the token is not in my wallet yet. 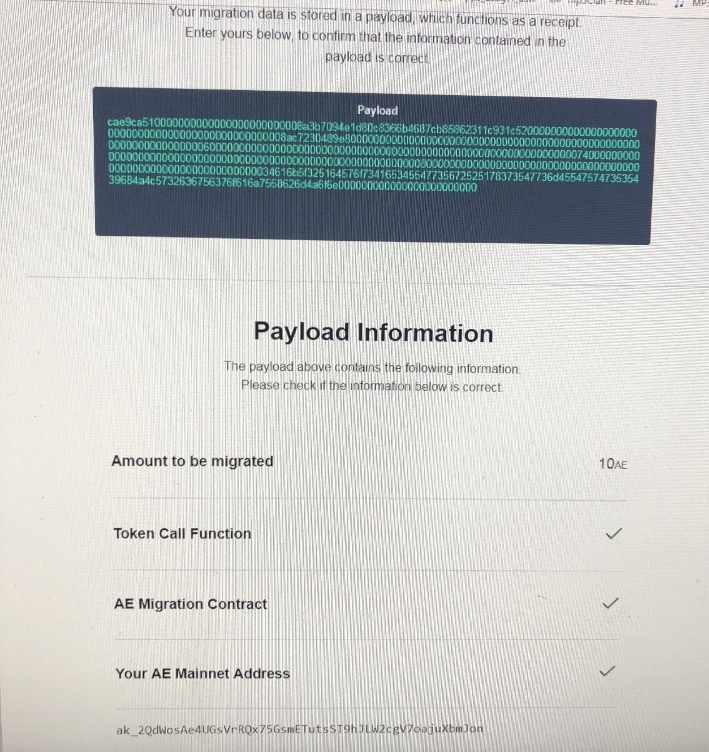 I have checked in ETHscan and the transaction is successfully done, but when I open my mainnet wallet, there is no transaction and no token . Maybe the problem is due to Ledger is not prepared yet, I don’t know. I asked to Vanessa on the telegram AE channel, and she suggested me to contact you here. Please, tell me what can I do. I can’t migrate the total amount until my wallet be running ok. Please give us here your AE address so we can check it. There was a firmware update of Ledger Nano S and it is possible that was the reason it did not display the migrated amount. I have not updated my Ledger Nano S to the latest version in order to keep the AE app. It seems that in the latest version there is no AE app yet. I see you’ve migrated 1 AE token. So, it’s a Ledger problem, no issues with your migration. +Ok, then I am going to wait a little, I hope Ledger solves the issue. Please, tell me if there are news about that. Thank you very much for your helping hand. I‘ve updates my Ledger Nano S just days ago. Today I‘ve migrated some Ae Token and the tx showed success. The Data load in the check Page also showes good state. Still there is 0.0 Ae on the Status page shown. My buddies sayed they got it instant shown. So theoretically it should be there?!? I dont know whats the matter if it is not a bug. I see that you have directly transferred the tokens to the contract. Did you use the Token-Migration app?